Mamma's go to florist has to be the Canterbury Rd Flower Gallery. Located down the bottom end of the Heathmont strip, right next door to Barclays, this beautiful small business is always in full bloom. Roses, orchids, gerberas, lilies and kale flowers - Jenny has got the lot. The shelves are also a great spot to pick up that perfect little something to go with it. HEAPS of baby gifts as well as candles, hand creams, soft toys and cards! You have to check out the gumboots and umbrella collection too! Peppa Pig would love this place! 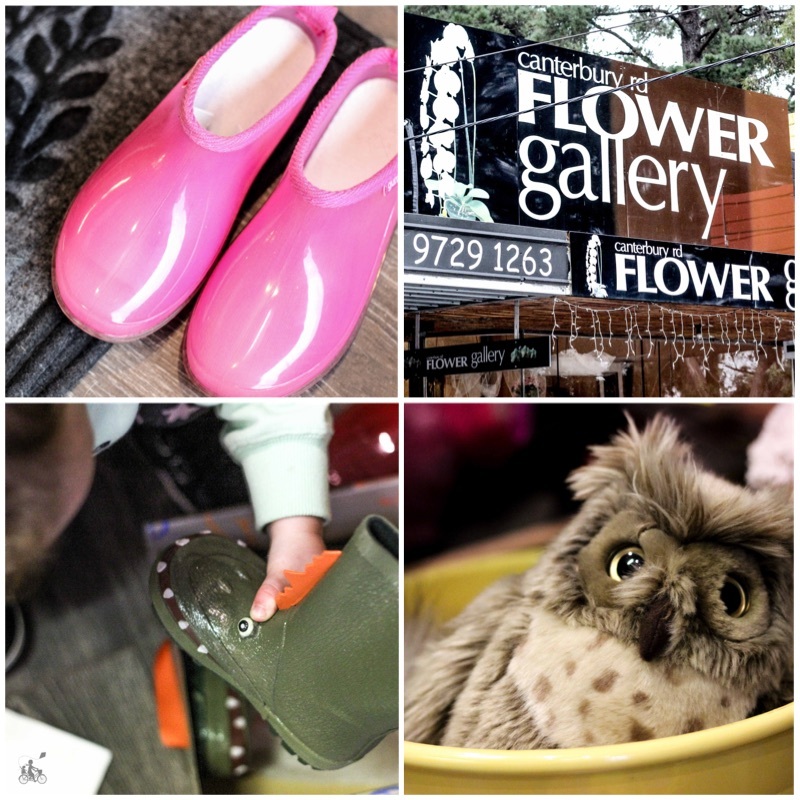 Mamma's special mention: there are so many treasures to be found at Heathmont Village. Read about some of Mamma's favourites here.